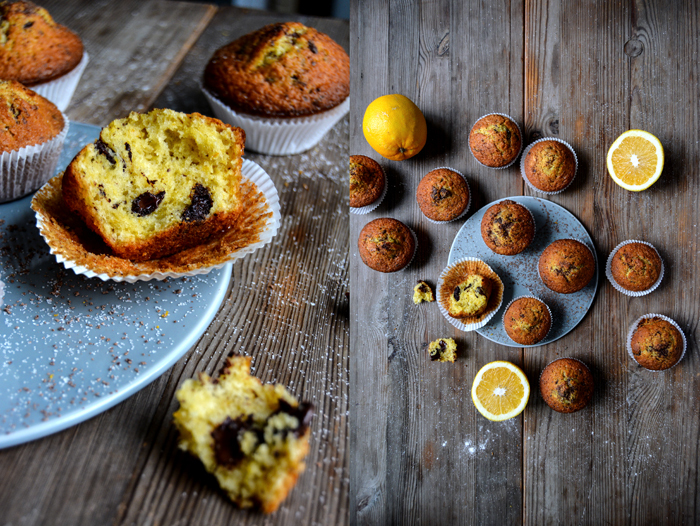 One of eat in my kitchen‘s hungry followers asked me if it’s possible to turn my Maltese granny Edith’s bittersweet chocolate and orange sponge cake into muffins without loosing any of its scrumptious qualities – and the answer is: yes, it is possible and they taste as amazing as my Mediterranean granny’s cake! 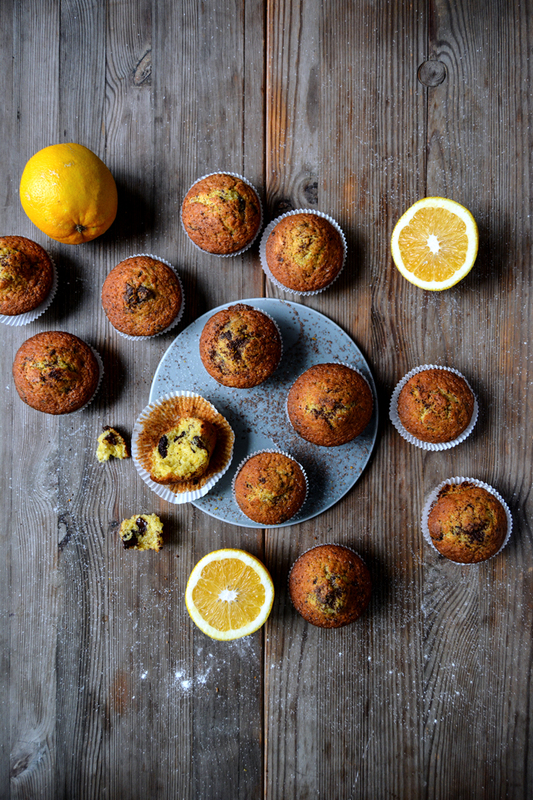 The muffin loving lady called Edith’s cake the best orange cake she’s ever baked – which I still have to tell Edith as I’m sure it will make her a little proud – and I call these miniature versions one of the best muffins our coffee table has every seen. 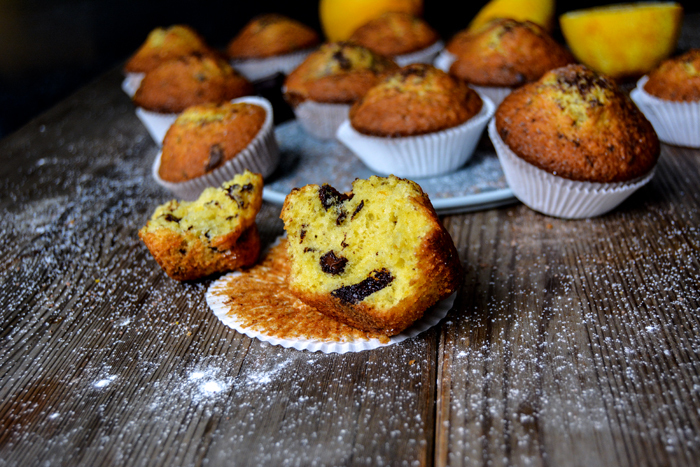 They are so soft, buttery-juicy and aromatic, the warm chocolate lusciously melting into the yellow sponge. It’s the kind of sweet you want to enjoy snuggled into a blanket on the sofa on a cozy Sunday afternoon with a hot amber-coloured cup of Darjeeling tea or a thick, dark hot chocolate. I had an interesting hot chocolate experience a few days ago. It was a typical autumn day, not too cold yet, the leaves vigorously flying in front of our living room window. I felt like a walk through Berlin’s West and took the afternoon off. We live in the eastern part of the city and at the moment I tend to spend a lot of time in the area where we live, so it felt a bit like a holiday to go to a different Kiez (the Berlin word for district). The restaurants, shops and houses look a little different and we even needed a map at one point as we lost our way – we felt and looked like tourists. Whenever I discover a new area I have to go to at least one café or restaurant. We went to Winterfeldt Schokoladen, a chocolate shop and café in Schöneberg, located in a stunningly beautiful old pharmacy from 1892. Tiny drawers and ornate cabinets filled with the best chocolates and pralines, cupcakes and caramel candy displayed on scratched up, old marble. Luckily, we found a free table – there are only a few in the tiny shop – so we placed our order: scones with clotted cream and thick Italian hot chocolate. When our dark beverage was served in fragile antique cups, we looked at each other and smiled. The hot drink was as thick as custard, the purest taste of chocolate mixed with steaming water – no milk and just a little sugar. It’s not the kind of hot chocolate I could drink every day but it was delish. And it felt so good to just sit there at the window and watch the people passing by that we didn’t want to get up and step out into the cold again. 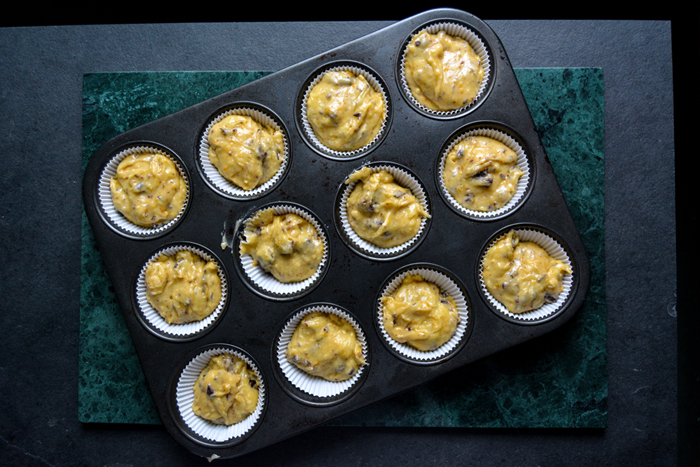 Set your oven to 200°C / 390°F (fan-assisted oven) and put paper baking cups into the 12 molds of a muffin tray. 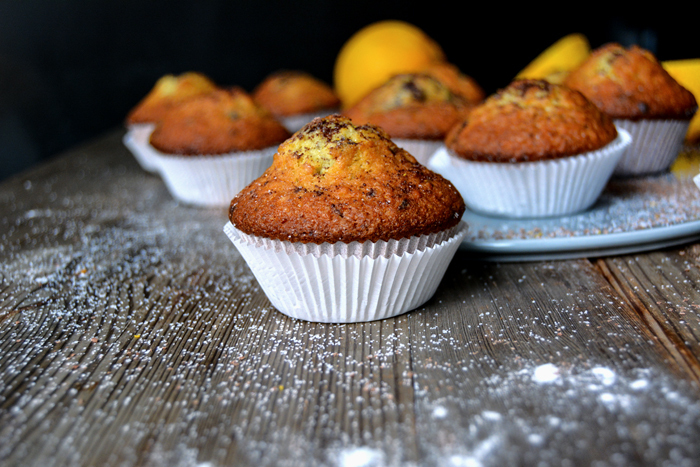 In a large bowl, combine the flour, baking powder, baking soda, salt and sugar. Whisk the melted butter, eggs, orange juice and zest and pour into the bowl with the dry mixture. Stir with a wooden spoon until you have a lumpy dough, with a bit of flour left here and there. Keep in mind, the more you mix it, the more it will lose its light texture. 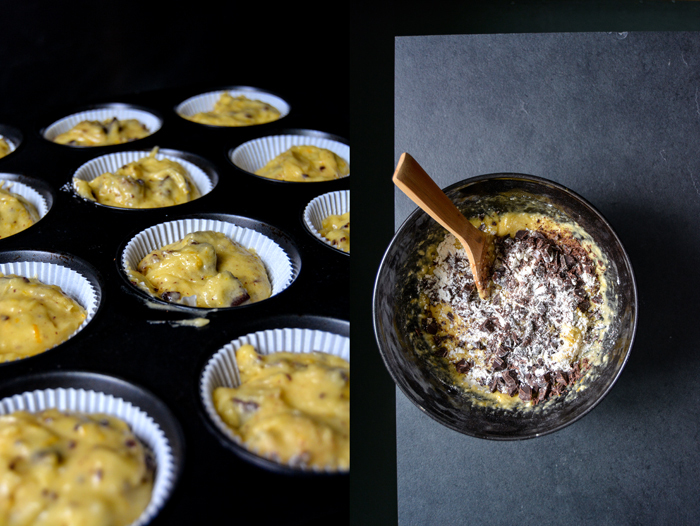 Quickly stir in the chocolate and scrape the dough into the muffin cups. Bake for about 15 minutes or until golden and firm and spongy on top. 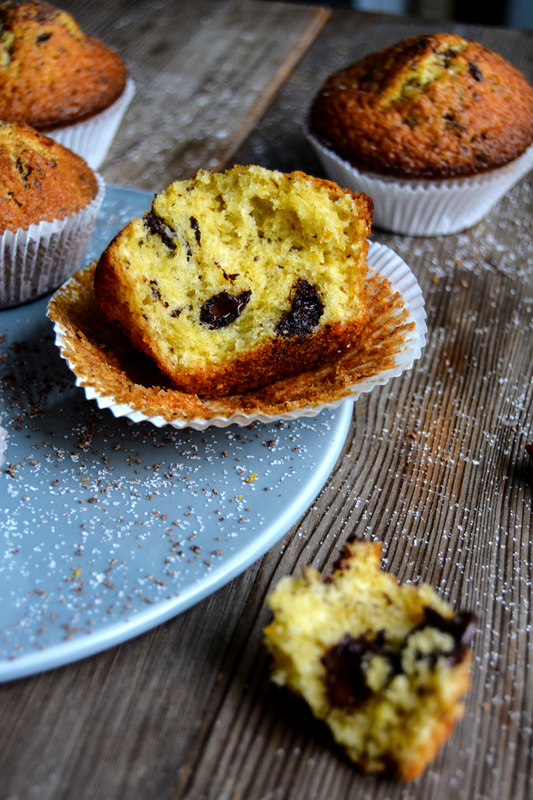 Let them cool for a few minutes before you take the muffins out of the tray, sprinkle the warm tops with a little more chocolate. as far as this best in the universe orange cake is concerned, how could i even consider cooking up a brunch for overnight guests without trying out this bake? and the texture of the crust looks amazing, meike. granny edith has easily claimed a place on my holiday treats test list. And the chocolate shop is heavenly! Oh these were soooo good; I had to share with our new neighbors to stop myself from eating them all! These will be a staple in my decadent breakfast recipe collection. 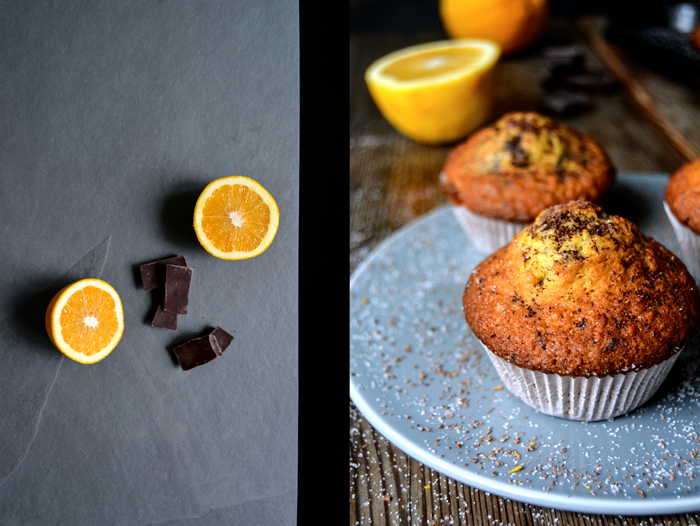 Oh my goodness, orange and chocolate are my favorite combination, nothing comes close to this marriage of flavors! I am going to the kitchen to make a batch as a treat to enjoy on this beautiful sunny fall day.